Stir all ingredients and strain into a chilled glass. Garnish. Brown sugar cordial: Heat 2 parts brown sugar and 1 part water until sugar is dissolved and solution has slightly thickened. 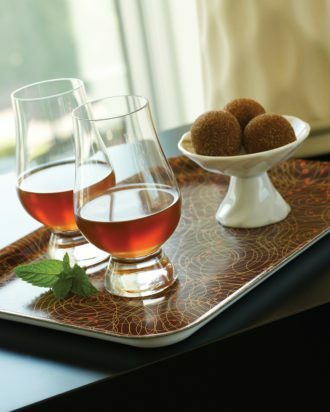 Allow to cool and stir in an ounce of demerara rum (Allen uses Lemon Hart) per every 10 ounces of syrup. Keeps for up to 1 month in the refrigerator.